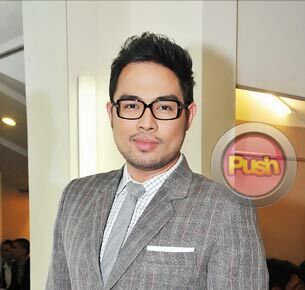 Jed Madela says there is no pressure coming from his family to find a girlfriend. After launching his Star Records debut album All Original earlier this month, world singing champion Jed Madela said he is happy at the way his career is going this year. True to its name, Jed's newest album features songs which are new and far from his usual ballads. “Everything sounds different and the songs express different feelings. Actually, each one can be a potential single on its own. I can't imagine na lahat ng kaya ko palang gawin sa pag-re-record, nailabas ko na sa album na ito. Of course I'm very fortunate to work with some of the country’s top composers like Trina Belarmide, Jimmy Antiporda, and Soc Villanueva. Ang dami nila and I’m also happy kasi may isa akong kanta na nakapasok. It’s a song I wrote and my very first recorded yun sa album na ito,” he said. Jed said it is one of his biggest achievements in life to be able to celebrate his tenth year anniversary in the music industry later this year. “It’s one album that I’m really proud of. Ten songs pero these ten songs can stand on their own. It’s a new sound for me. It’s a new feel for Jed Madela. When you listen to the CD, track one pa lang sasabihin mo na, ‘Si Jed ba ‘to?’ but in a good way. It’s something I really encourage people to buy. Of course the signature high ballads will be in the album but there are tracks that will make the listeners wonder if it is really me singing,” he explained. Apart from the album, Jed celebrated another milestone in his career after becoming the first Filipino to be inducted in the Performing Arts Hall of Fame in Hollywood. He is the first Grand Champion Performer of the World to be awarded the Achievement Award that will have a live worldwide broadcast on July 19. When it comes to his personal life, Jed said he is content with being single right now. He said that after his last relationship, there is no pressure not even from his family to find the right woman for him. “Hindi naman, hindi sila yung nag-pe-pressure sa akin. What matters to them is that I’m happy with my status in life now. Kumbaga open-minded kasi yung pamilya ko eh, as long as I’m happy it doesn’t matter if I’m in a relationship or not. Nakita nila na successful naman yung career ko, I’m happy with my brother and my sister lalo na ngayon na they have kids already. So the more na sana i-pressure nila ako pero hindi. My mom and dad are very supportive lang talaga with what I do. And with love life naman, it will arrive. It will come. Ayoko lang i-push kasi the last one that I really fell for was not naman a traumatic experience pero it was an experience na talagang na-windang yung mundo ko, parang ganun. She is already happy now and that’s what matters naman eh so sana makahanap na ako ng mamahalin kumabaga in the future. Pero hindi ako naghahanap, it will just come,” he said. Jed Madela's All Original album is now available in record bars nationwide for only P350. For more Kapamilya updates, log on daily to Push.com.ph and follow Push_Mina on Twitter.